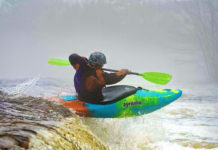 Paddling Magazine presents our 2019 Canoecopia gear giveaway. 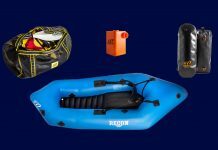 Enter for your chance to win this Old Town Discovery 119 Solo Sportsman and receive a free digital subscription to Paddling Magazine and Kayak Angler. Thanks for having this sweepstakes. I would love to win a canoe and discover 0ne-of-a kind-views. Changing to a print edition is not an upgrade. We love you, but don’t want to support paper and resource use for publications. I don’t mind if you charge me some money for the digital edition. You have to make some money too. I’m on the road for a lot of the year and really enjoy the mag on my ipad. Great pictures, great text, great videos, and great ads and reviews. Digital delivery recipients are not second class citizens. 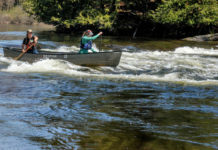 I was hoping to win the fishing Kayak, I am 61 yrs old have been fishing all my life but money has been tight since I got hurt and could not go back to work, I spend a lot of my time bank fishing and surf fishing when I can I would like to get a boat for back bay areas and my girls can enjoy a day on the water. Thank you for all you do to help keep people in the water from spring to fall months. Thank you for the awesome giveaway prize and chance. I would love to win a canoe. Love to have a fishing Kayak! I really really would Love to win this amazing giveaway!!!!! For my family and I. We live by Allatoona Lake and my mom live on the Hiawassee River. We sure have a great time using this awesome canoe. Great to have in fl. OMG yes! Small enough to cartop by myself yet strong enough for my xxl size / weight. 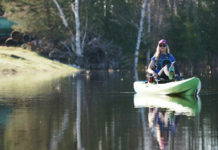 No Canadian creeks or river will be safe from me…..
Just back from another great Canoecopia! What a great opportunity. 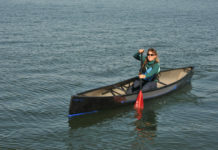 I’d love to win a quality canoe and I know Paddling Magazine only promotes the best. I would like to win this canoe so it would get me out on the water so I could exercise more, other that my daily walking routine. Live across from the great sacandaga lake..lake life!??? i love to go out and check out new areas via the water it gives you easy asses to so many places. Would love an upgrade . Looks very nice . Would love to try it !! That would be an awesome prize to win, i have never won a cool prize like that neat conoe! Whoo-hoo Bring It on -Shared & Tweeted ect. Fish on, dudes and dudettes! Would love to win to bond with my son he loves this hobby . Been using a 50 year old canoe for a while now. An upgrade to an Old Town would be a dream come true.. Fingers crossed. be nice to have something to get back on the water with. my yak was stolen. Would be a great addition to my JK pedal fishing kayak for central MN. I love kayaking and would really enjoy to take this beauty out every day. Living on a lake already so having this dream canoe would be absolutely awesome. This canoe would LOVE the clean, spring-fed waters of Up North Lake Tomahawk in Wisconsin. If this happens, we promise to take good care of it including feeding and a roof over it’s head. Love your great quality kayaks. It would be a wonderful adventure to be able enjoy the outdoors while paddeling my canoe. Beautiful canoe. Hope I win! Would be nice to have a canoe like this instead of having to deal with my bigger cedar strip. canoeing reminds me of summer camp. Would be special to have my own Canoe. now I can go where the fish are !!! Hope I win dont have one or a boat never have and I love to fish would be nice to get on the water instead of fishing from shore all the time great looking canoe. 65 year old man never won anything in my life. Very nice!! I hope I win. What a wonderful giveaway. Thanks. Do you Canoe, I do. I need a new one.